Click on the Home to view your news feed, then click on the shared curriculum map from one of your contacts. You can also search for a specific teacher and go to their news feed to find a curriculum map. Hover over the orange menu button and click on Create Tracker From Map. Enter the information for your new tracker. 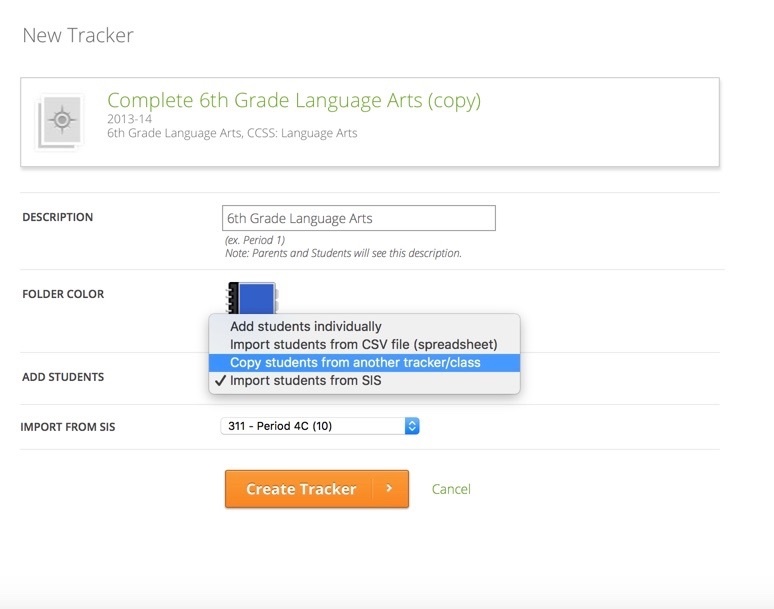 Select how you want to add students from the drop-down menu, then click on Create Tracker.